Weather is the interaction of sun, air, and water in the atmosphere, and weather patterns determine climate! Step inside Weather Watch to become a WLKY meteorologist, working to keep Kentuckiana informed of severe weather emergencies. Water is a powerful force and essential to sustaining life! At Go H2O, get a sense of how water moves and interacts with the landscape. You control the direction of the water, while processes like erosion, sedimentation, and flooding impact what you set in motion. Kentucky is home to the biggest known cave system on Earth! Get ready, get set, and spelunk in the Cave Crawl, a part of our “terrasphere,” where you can learn what makes (and what lives in) a cave. 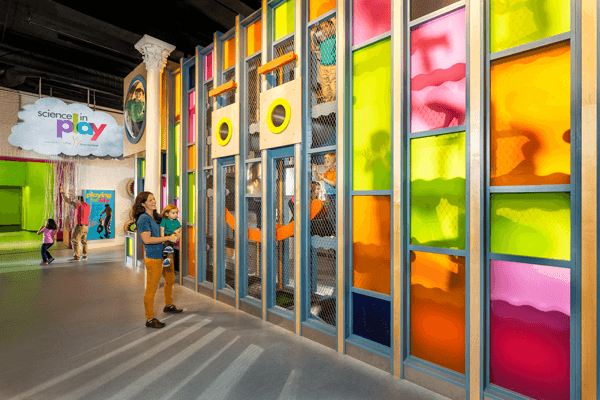 Learn more about how our body works through hands-on exhibits that will give you a new appreciation for the parts most people take for granted. The World Within Us is an in-depth exploration of our life cycle and how we, as organisms, use matter and energy, process biological information, grow, develop, adapt, and age. Take the highway to health at the festival of experiences we call The Great Big Science To Do. 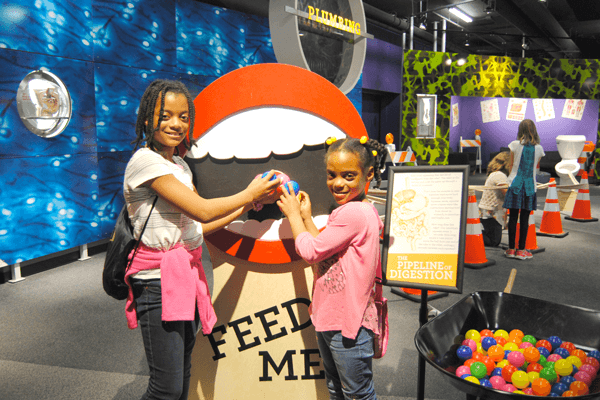 Envisioned and built by Science Center staff, “Highway to Health” will get you thinking about health equity and healthy habits in a whole new way. What’s in the food we eat? 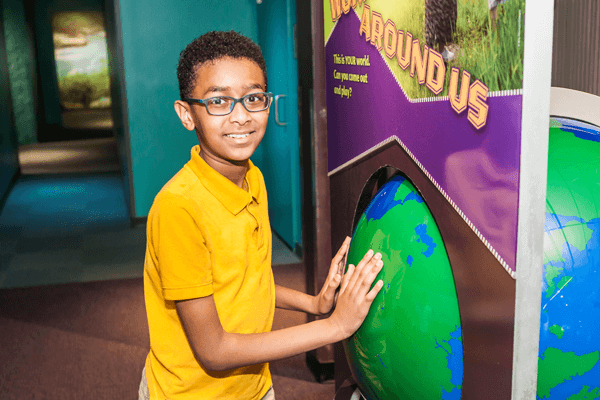 This highly interactive bi-lingual exhibit encourages healthy living through exploration of the science behind healthy food choices. Students will discover what an appropriate serving size looks like, discover what it takes to burn calories, and reduce their risk of disease with healthy choices. 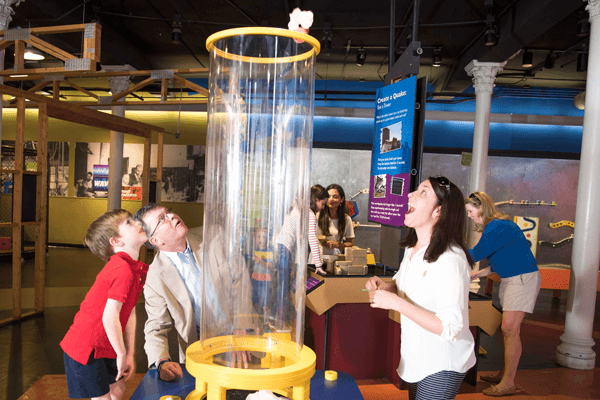 This exhibit is visiting Kentucky Science Center from the Oregon Museum of Science and Industry. 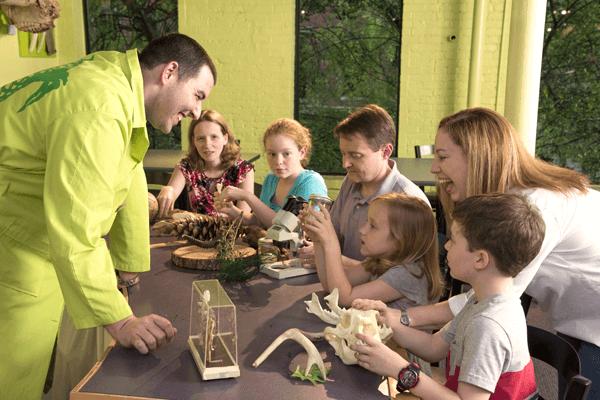 Human Plus offers visitors a chance to explore and create low- and high-tech tools that extend the abilities of the human body! In addition to compelling stories, the exhibit includes a mono-skiing simulation, a wheelchair DJ station, the opportunity to engineer innovative design solutions and insight into controlling a prosthetic limb with your brain!